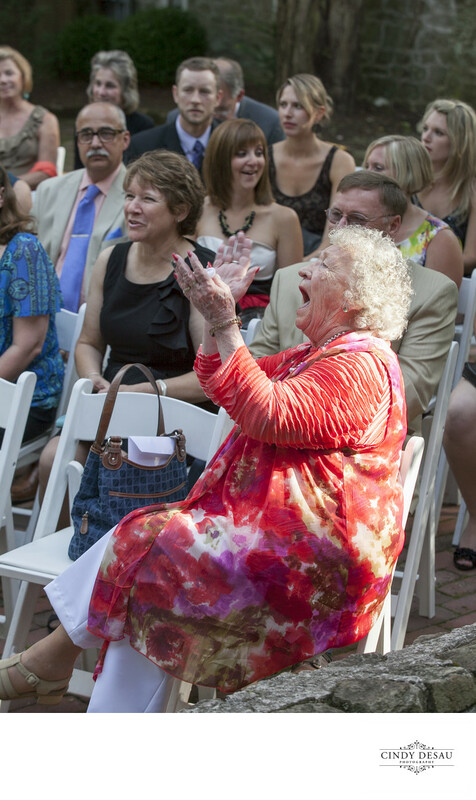 I love a rowdy and rambunctious grandmother who cheers loudly after her granddaughter is just married. Priceless! This is another example of the type of candid wedding photographs I like to provide to my clients. I want my images to depict the personalities of my clients' families and guests, captured organically and naturally.